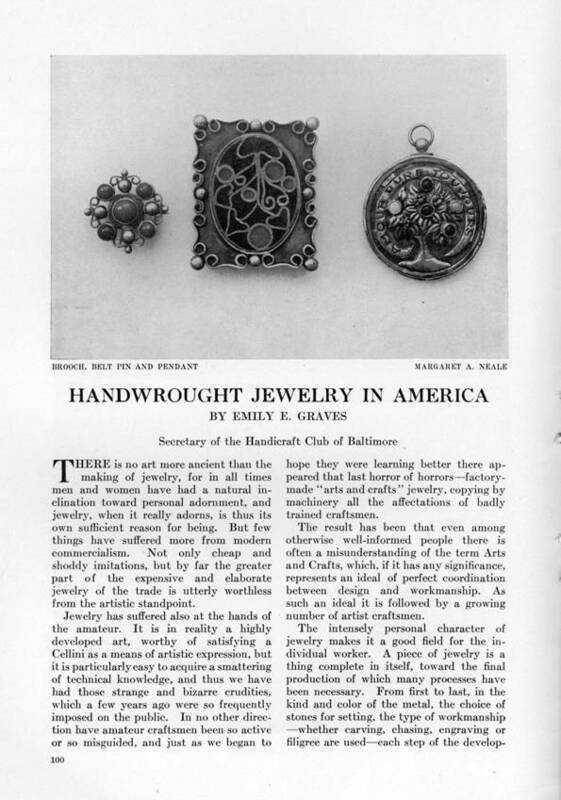 Arts & Crafts Jewelry in 1915 -- In the American Magazine of Art, January 1915, Emily Graves surveys notable Arts & Crafts jewelry makers of the day. She singles out Margaret Rogers, Frank Gardner Hale, and Jane Carson Barron (Barnum? 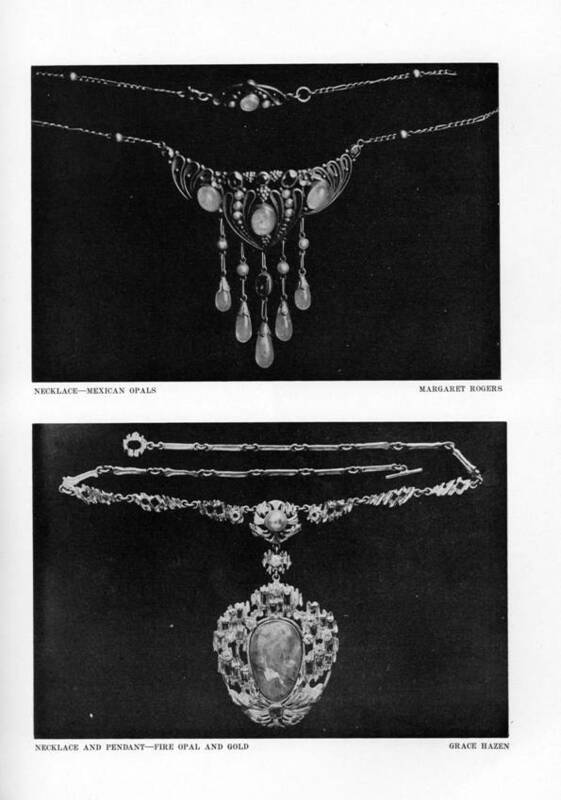 ), along with Josephine Hartwell Shaw and Mildred Watkins, all (relatively) well known these days. 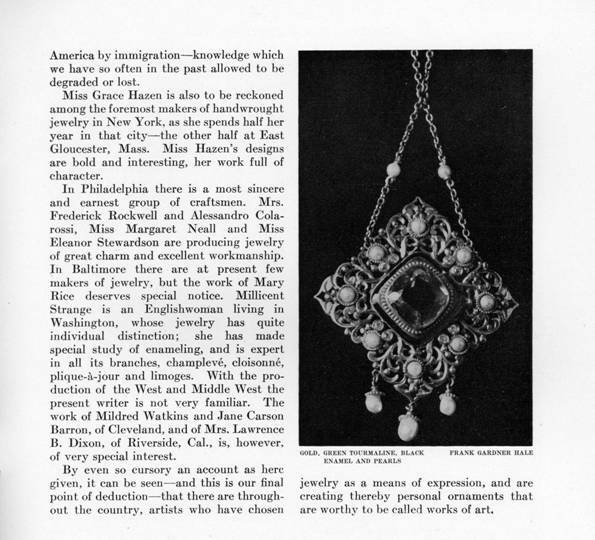 But she also mentions several other more obscure makers, Jessie Ames Dunbar, Mrs. William Henry Klapp, Grace Hazen, Mrs. Frederick Rockwell, Alessandro Colarossi, Margaret Neall (or Neale -- she spells it both ways), Eleanor Stewardson, Mary Rice, Millicent Strange, and Mrs. Lawrence B. Dixon. 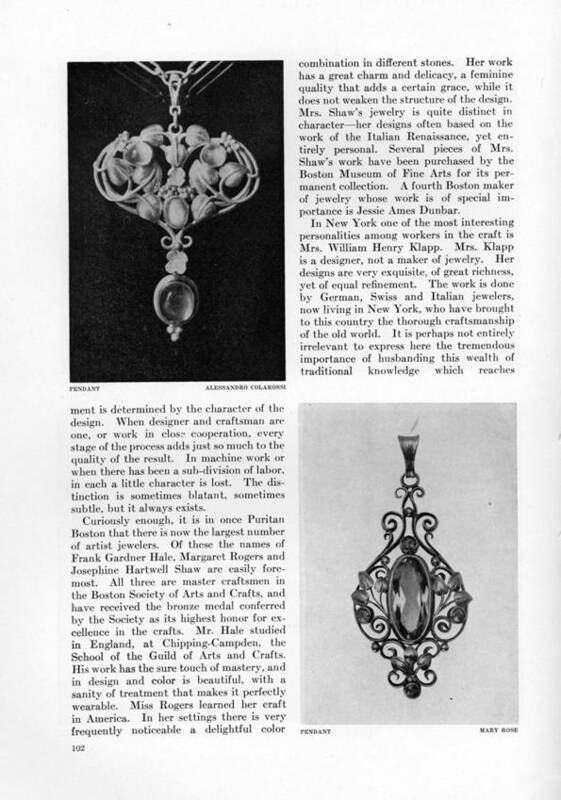 Along with the work of Rogers and Hale, interesting items by Neale, Hazen, Colarossi, and Mary Rose are illustrated. We don't know if these were signed, but perhaps this will help identify other lovely pieces by these forgotten makers.